The former president of Sierra Leone – Alhaji Dr. Ahmed Tejan Kabba, who died last Thursday, will be buried on Sunday, 23rd March 2014, in Freetown. State House sources say that the former president will be buried at the grounds of the Houses of parliament, following the tradition of previous governments. It is not yet clear what form the funeral service will take, though the former president is a Muslim and will be taken to the Mandingo Mosque for prayers in Freetown. The government is expecting hundreds of overseas dignitaries – including heads of state, ministers and representatives of various international bodies, to attend the state funeral. It is understood that the funeral cortege will be escorted by the military, police, and representatives of other public organisations across the country. 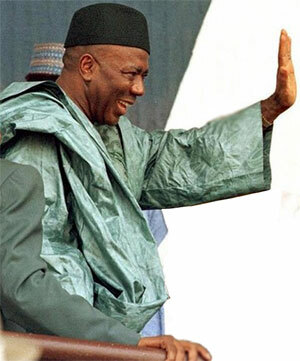 “His Excellency Alhaji Dr. Ahmad Tejan Kabbah was a great Sierra Leonean. He worked, against great odds, to assert the nation’s aspiration for peace, culminating in the Lome Peace Accords in 1999, the formal declaration of the end of the civil war in 2002, and the disarmament of tens of thousands of combatants. “He achieved these great feats by building and sustaining an alliance for peace comprising political parties, civil society, our international partners and the generality of peace loving Sierra Leoneans. “He moved to heal the nation through the Truth and Reconciliation Commission, resettle the displaced and protect the vulnerable through the NCRRR, ensure justice through the Special Court for Sierra Leone, and re-assert the country’s fidelity to democratic governance by patriotically presiding over a democratic change of government in 2007. “Pa Kabbah’s life is a library of lessons for all peace loving Sierra Leoneans, a memorial of perseverance against odds, and a storehouse of civic virtues that we must all continue to honour. “Sierra Leone has lost a great son, but the example of his life, in both the high and low moments of this nation shall continue to inspire us unto greater actions for peace, democracy and civility. 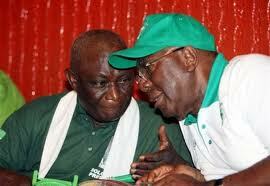 “Rest in Peace, our dear President Kabbah, may Allah’s infinite mercies abide with you. 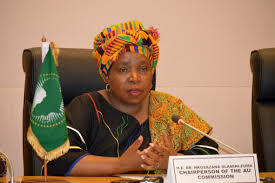 “President Kabbah was very active in AU and ECOWAS meetings, always bustling with very good ideas and undertaking important continental responsibilities. He will be missed. “Former President Kabbah will be remembered for his determination and commitment in negotiating an end to the decade-long bloody civil war in Sierra Leone. He was steadfast in his leadership during the post-war transition period, which he served for 10 years, in a two term Presidency. “Before returning to national politics in Sierra Leone, President Kabbah had worked for the United Nations Development Programme for 22 years, serving in the United States and in many African countries. A statement from the Commonwealth says that; “the Secretary-General – Kamalesh Sharma, expresses his profound sadness at the passing today of Dr. Ahmad Tejan Kabbah, former President of Sierra Leone. “On behalf of the Commonwealth family, I would like to convey our deepest condolences to the family of Dr Kabbah, to the Government and people of Sierra Leone. “Former President Kabbah was a strong supporter of the Commonwealth, in upholding its fundamental values of democracy, development and respect for diversity. “Our membership benefited immensely from his active participation at various summits and during other Commonwealth initiatives. 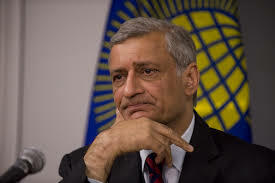 He led Commonwealth election observers to elections in Kenya in 2007, where he personally initiated dialogue with various political actors when violence broke out following those elections. 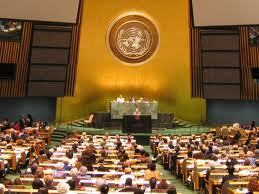 The Secretary General added: “President Kabbah was a true son of Africa. He was a man of peace who steered Sierra Leone positively following many years of civil war, and brought the country back from the brink. The Commonwealth is pleased to have worked closely with him and his government during those difficult periods. Tejan Kabba worked for the United Nations for over twenty years, and many believe that his leadership and peace-building work in his home country – Sierra Leone was largely driven by the UN ethos. And when the results of the elections were announced, his SLPP party lost, causing political tension between the ruling SLPP and the opposition APC. This highly politically charged atmosphere almost resulted into a dangerous breakdown in law and order, which many analysts believed could have led to another war. President Kabba sensing how precarious the situation had become, as lawlessness was beginning to consume the nation, invited the leaders of both parties to his house to ease the growing political tension, and discussed the impasse. After several hours of talks chaired by president Kabba, the ruling SLPP party peacefully accepted defeat though with serious reservations about the fairness of the election results. And sanity was returned to the streets of Freetown – the hard won peace prevailed. That is the mark of a man who had spent decades working for the UN, whose fundamental ethos is to put peace ahead of all other objectives. “President Kabbah will be remembered as a dedicated statesman who demonstrated leadership during and after Sierra Leone’s decade-long civil war. He helped to steer the country along the path of peace and stability that it enjoys today. “He will also be remembered for his 22 years of dedicated service as fellow UN colleagues, working for the United Nations Development Programme (UNDP) in United Nations Headquarters, Lesotho, Tanzania, Uganda and Zimbabwe since 1970. The Executive Representative of the Secretary-General recalls fondly working for him at UNDP in New York. May his soul rest in perfect peace. Allah forgive him.